(Episode 5) We've Composed Ourselves: The Federalist and Anti-Federalist Papers...Finally! It’s been awhile, listeners. Thanks for your patience – we had quite an adventure trying to record this episode (the Revolution hit us hard), but we’re back! So, we won the war! Where do we go from here? Americans faced a lot of questions in solidifying their identity as a nation. How do you balance between the need for consistency in government and the desire to remain free and independent? How do you preserve the rights of the people but protect against a majority that silences smaller groups? How do you structure an effective government that can’t become too powerful? 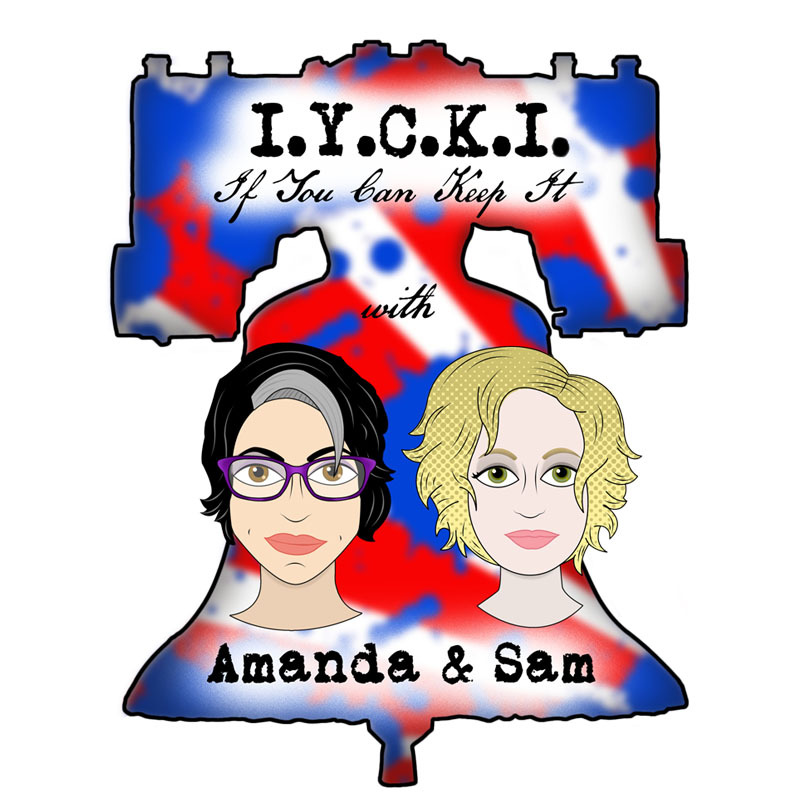 In Episode 5, we talk about the next steps taken by the Founders to establish the government they fought to create, and what the arguments were on both sides of the debate. The primary sources we use in this episode highlight the fact that even though the Founders agreed on their fundamental principles and ideals, they didn’t always agree on how to implement them. The Articles of Confederation, the precursor to the Constitution, indicate some of the lingering fears Americans had of centralized authority in any form. As is the case with most rough drafts, the Articles needed some improvement. So delegates got together for a Constitutional Convention in 1787 to draft a new, more effective form of government­. After a great deal of debate and consideration (see, for example, the Notes of Debates in the Federal Convention), the result was the Constitution. We'll break down each Article of the Constitution in later episodes. For now, we focus on the debates surrounding it. The debate about whether or not to ratify the Constitution reveals the depth of thought, debate, and consideration that went into why the Founders structured the government the way they did. Reading the arguments on both sides of the debate – both in favor of ratification right now and against ratification until further debate and changes could be made – provides the best insight into the “why” behind our Constitution. For arguments in favor of ratification, we turn to the Federalist Papers, authored by John Jay, James Madison, and Alexander Hamilton under the pseudonym “Publius.” Although there are 85 Federalist Papers, we focus on three: Federalist No. 1, Federalist No. 10, and Federalist No. 51. For arguments in favor of holding off on ratification until further changes could be explored and made, we turn to the Anti-Federalist Papers, authored by Robert Yates and George Clinton under the pseudonym “Brutus.” We focus on two of the Anti-Federalist Papers: Brutus No. 1 and Brutus No. 2.